The BioFREE (Biofouling in Renewable Energy Environments) project has commenced data collection from biofouling monitoring systems deployed across international marine renewable energy (MRE) test centres. A webinar will be hosted by IEA Ocean Energy Systems (OES) Annex IV to discuss current environmental research efforts in relation to tackling biofouling on 1st March. 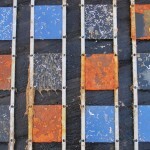 An investigation on biofouling in highly energetic environments has been undertaken by Heriot Watt University’s International Centre of Island Technology (HWU-ICIT) and the European Marine Energy Centre (EMEC). Supported by Interreg North West Europe FORESEA Programme, test frames designed by HWU-ICIT and EMEC were populated with Whitford Ltd panels composed of different materials and anti-fouling coatings. The test frames were deployed at EMEC’s four test sites in July 2018. 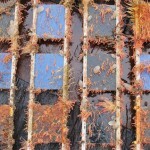 The BioFREE test frames were also deployed at test centres, utilising the International WaTERS network, in Japan, the US and Chile, to gather data on biofouling and corrosion. A data collection campaign using the BioFREE frames was successfully completed in October 2018, an analysis has since been carried out by HWU-ICIT, funded by the Natural Environment Research Council (NERC) Innovation Placement Fellowship. The findings aim to inform best practice and contribute to reducing costly impacts of marine growth and inform the latest technological advances for the MRE industry as it advances. Initial results indicate that the main fouling species vary considerably between geographic locations, hydrodynamic conditions, depth, substrate and coating type. Fouling at the EMEC test sites was mainly dominated by hydroids, immobile relatives of jellyfish, especially in higher tidal flow habitats. These results contrast dramatically from findings at other test sites. 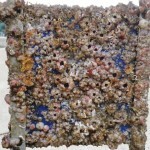 For example, at the tidal test site in Japan, late summer fouling is dominated by large barnacles. Similarities in common fouling groups are found internationally. For example, while barnacles prove to be a major fouling burden globally, important differences are apparent based on location, species, size, and seasonality of fouling.